SRG International are one the leading Manufacturer, Supplier, Trader, Wholesaler, Distributor and Exporter of a Various range of Perforated Cable Tray are used for running multiple open cables connecting equipment racks in same & adjoining rooms. 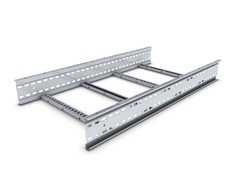 Our Cable Trays are made up of fine and top quality steel and other metals which have a good durability level, which ensures the user safety and long lasting. These trays offer strength and high capacity which very well suit to heavy duty power distribution in industrial facilities. These trays comprise of two longitudinal side rails connected by individual transverse members called rungs. Trays are contrived with the width ranging from 75mm to 1200 mm & height ranging from 50 mm to 150 mm. The thickness varies from 20 SWG to 10 SWG with all accessories. SRG International are leading Manufacturer, Supplier, Trader, Whole Saler, Distributor and Exporter of Various range of Cable Trays are used for running multiple open cable connecting equipment racks in same & adjoining rooms. 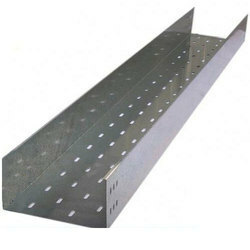 Our Cable Trays are made up of fine and top quality steel and other metals which have a good durability level, which ensures the user safety and long lasting. These trays offer strength and high capacity which very well suit to heavy duty power distribution in industrial facilities. These trays comprises of two longitudinal side rails connected by individual transverse members called rungs. Trays are contrived with the width ranging from 75mm to 1200 mm & height ranging from 50 mm to 150 mm. The thickness varies from 20 SWG to 10 SWG with all accessories. SRG International are leading Manufacturer, Supllier, Trader, WholeSaler, Distributor and Exporter of Various range of GI Cable Tray are used for running multiple open cable connecting equipment racks in same & adjoining rooms. Our Cable Trays are made up of fine and top quality steel and other metals which have a good durability level, which ensures the user safety and long lasting. These trays offer strength and high capacity which very well suit to heavy duty power distribution in industrial facilities. These trays comprises of two longitudinal side rails connected by individual transverse members called rungs. Trays are contrived with the width ranging from 75mm to 1200 mm & height ranging from 50 mm to 150 mm. The thickness varies from 20 SWG to 10 SWG with all accessories. SRG International are leading Manufacturer, Supplier, Trader, Whole Saler, Distributor and Exporter of Various range of Stainless SteelCable Trays are used for running multiple open cable connecting equipment racks in same & adjoining rooms. 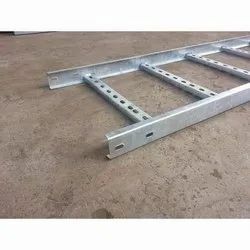 Our Cable Trays are made up of fine and top quality steel and other metals which have a good durability level, which ensures the user safety and long lasting. These trays offer strength and high capacity which very well suit to heavy duty power distribution in industrial facilities. These trays comprises of two longitudinal side rails connected by individual transverse members called rungs. Trays are contrived with the width ranging from 75mm to 1200 mm & height ranging from 50 mm to 150 mm. The thickness varies from 20 SWG to 10 SWG with all accessories. 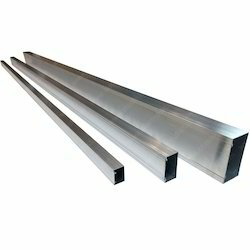 SRG International are leading Manufacturer, Supplier, Trader, Whole Saler, Distributor and Exporter of Various range of Cable Raceway, Cable Trays are used for running multiple open cable connecting equipment racks in same & adjoining rooms. 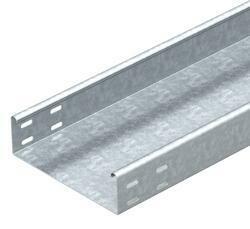 Our Cable Trays are made up of fine and top quality steel and other metals which have a good durability level, which ensures the user safety and long lasting. These trays offer strength and high capacity which very well suit to heavy duty power distribution in industrial facilities. 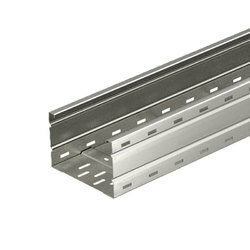 These trays comprises of two longitudinal side rails connected by individual transverse members called rungs. Trays are contrived with the width ranging from 75mm to 1200 mm & height ranging from 50 mm to 150 mm. The thickness varies from 20 SWG to 10 SWG with all accessories. 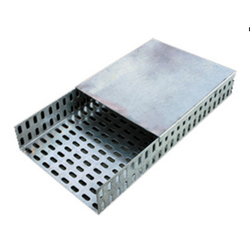 We are the best supplier of GI Ladder Type Cable Tray . 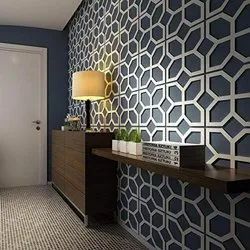 We are the best supplier of Wall Panels .